Kaleb Nation is an author, TV personality, and entrepreneur. With over a decade of experience in digital media, Kaleb is a nationally recognized expert on Internet culture and viral marketing, and has been featured by CNN, NPR, ABC, MTV, Mashable, Entertainment Weekly, Good Morning America, and many more. His videos and websites have been viewed over 100,000,000 times. He appeared in a national TV commercial for Taco Bell in 2014 and is a frequent guest on HLN including Dr. Drew On Call and MichaeLA. Kaleb was born in 1988 in Orange, Texas – a small town mostly known for its infamous street of petroleum plants called Chemical Row. Through many childhood relocations, Kaleb worked as a chocolate seller, a website designer, a photographer, a blogger, and a goat herder, among others. He spent many of his teenage years on a farm building pig fences until a series of fortunate accidents paved the way for a career in Hollywood. 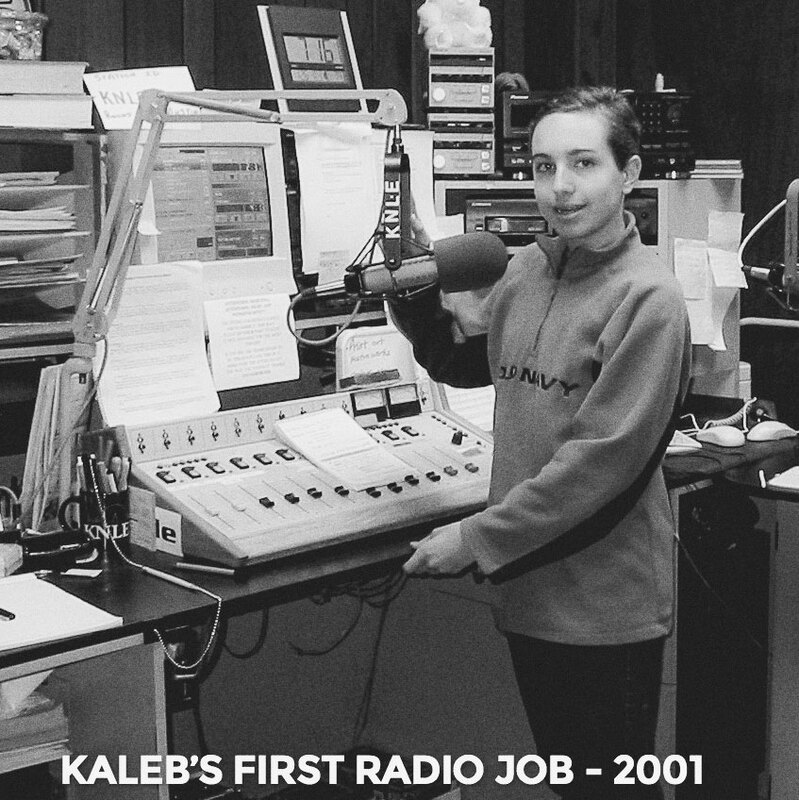 At 13, Kaleb answered an advertisement for a radio hosting job to see which of his parents would be the first to say no. After receiving unexpected support from both his parents and the station manager, Kaleb suddenly became the host of a weekly radio show in Austin, Texas – the youngest on air at the time. By age 17 and under the name Kaleb Krew, his show The Top 5 was broadcast nationally in over 20 states and countries, with few of his affiliates realizing he was a teenager recording the episodes in his bedroom. Kaleb is also the author of 2013’s Harken, a reptilian conspiracy theory thriller called “whip-smart, charming, and irresistible” by New York Times bestselling author Lauren DeStefano. Having experienced the powerful opportunities offered by new media, Kaleb turned his attention to producing digital content full-time. 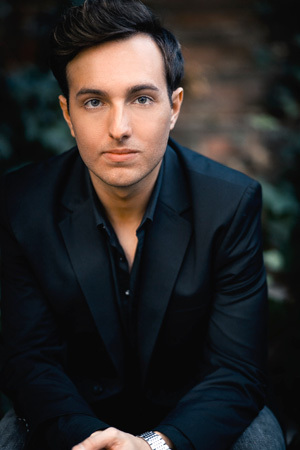 As a hub for his growing audience of followers, he began producing video blogs at YouTube.com/KalebNation. After nearly 600 videos, he partnered with media leader PMC to produce The 60SR Show in 2012, which received over 12,000,000 views. In 2013, Kaleb launched Kaleb Media: a creative marketing agency specializing in social media advertising and viral content. As a consultant, Kaleb has designed marketing strategies for many leading companies and brands. He has spoken widely at corporate events to highlight the rising influence of online media, including as a featured speaker at Taco Bell’s Franmac franchisee summit (2016). In 2014, Kaleb proposed to fellow YouTube creator bfftaylor on stage at a YouTube convention, and in 2015 their wedding was filmed for an episode of TLC’s hit TV show Say Yes To The Dress: Atlanta. 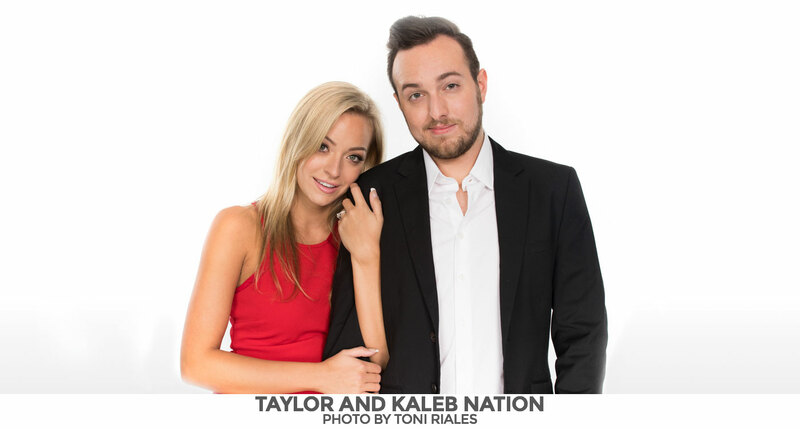 The story of Kaleb and Taylor’s YouTube relationship – they met at Playlist Live, started dating at Vidcon, and got engaged at Digifest – was included in the 2017 documentary Internet Kids. They live in California with puppies named Selfie and Hippie. Kaleb Nation is his real name.